Freddie Waters began his musical career in Nashville Tennessee in the mid 1960s as lead singer for a vocal group called the Hytones. They were featured regulars on a legendary television show called "The Night Train" (the earliest known footage of Jimi Hendrix was also on this show). Through this exposure they were discovered by producer/arranger Robert Holmes. He produced a couple of obscure 45s (on a small Excello subsidiary) for them and then was hired as arranger for Ted Jarrett's Ref-O-Ree label. Mr. Holmes brought Freddie Waters and Eddie Frierson (another member of the Hytones) along with him to the new label. Freddie & Eddie recorded a couple of duets together in a Sam & Dave style but soon Freddie was out on his own as the label's most visible artist. He had several regional hits, most notably "Singing A New Song" (also the title track of this album). As this record started to get action in several major southern markets, it came to the attention of Curtis Mayfield who leased the master and re-released it on his Curtom label. The record did quite well in the south. This success, in turn, lead to interest from Stax Records in Memphis. It looked like Freddie was getting hot. Things began to look up as Ted Jarrett and Robert Holmes were hired as house production team for Audio Media recording studio in Nashville. Freddie was brought into the fold and landed a contract with October Records, a new (and sadly short-lived) Nashville soul label. The first single release "I'm Afraid To Let You Into My Life" was a regional hit and was soon followed by an album "Just Enough To Get Me Cool". Freddie was still bubbling just below the surface, unable to break through to the top. As the 1980s dawned, Freddie Waters, Ted Jarrett and Robert Holmes all returned to what they did best. Ted started TJ Records where he has great success producing Gospel records to this day. 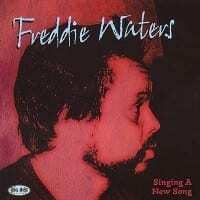 Robert Holmes continued as an arranger for hire, and Freddie Waters concentrates on live performing. He hooked up with old pal Jimmy Church (who recorded for Sound Stage 7 and was featured on the 60s TV show THE BEAT!!) and his revue show, singing the old songs to adoring crowds throughout the mid south. This brings us to the CD you hold in your hand. It contains Freddie Waters' complete catalog for Ref-O-Ree, plus his best October material. Sadly, Freddie passed away last year, but he was very excited that these great records would get a second chance. 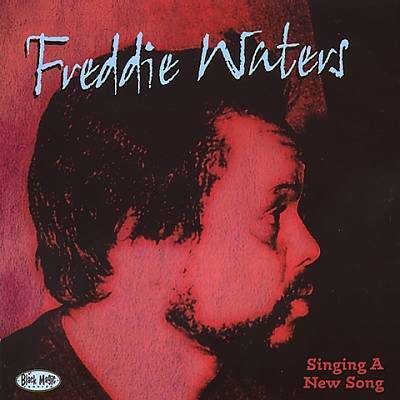 Judge for your self, but in my opinion, with a couple of good breaks; Freddie Waters would have been a household word in the soul music world. In either case, it's still great music. Freddie Waters (vocals) , Mark Major (guitar) , Tom Malone (guitar) , Ron Galloway (bass) , Chucki Burke (drums, percussion). "...Represents his entire Ref-O-Ree output from 1968-73, and 4 more songs that came out on an obscure OCtober LP in 1977....these sides leave little doubt that Waters could have been a hot-maker if he'd been in the right place at the right time."